See the mason jar in the background? That's the big key here. Take a large jar and brew coffee to fill. Make sure your grounds are super quality fresh for the best effect. For an entire jar, I added 2 1/2 tablespoons of sugar. Add the sugar while the coffee is still hot to dissolve the sugar. Add 1 tablespoon of vanilla extract and put the coffee in the fridge. When you're craving coffee, add ice to glass. I love Tervis tumblers to keep it cool. Fill with black coffee from the jar and top off with skim milk. Straw is a must. You could totally add other flavors like peppermint or hazelnut to suit your tastes. 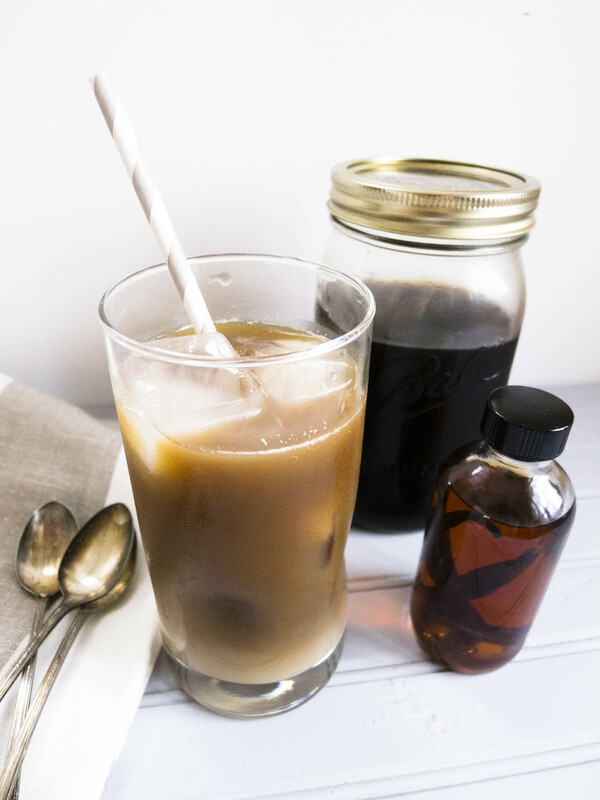 Are you an iced coffee person or still doing hot in summer?